The trendy and industrial look of this Berkinshire computer desk in a chic white wood grain finish is the perfect combination of function, durability and design in a modern form. 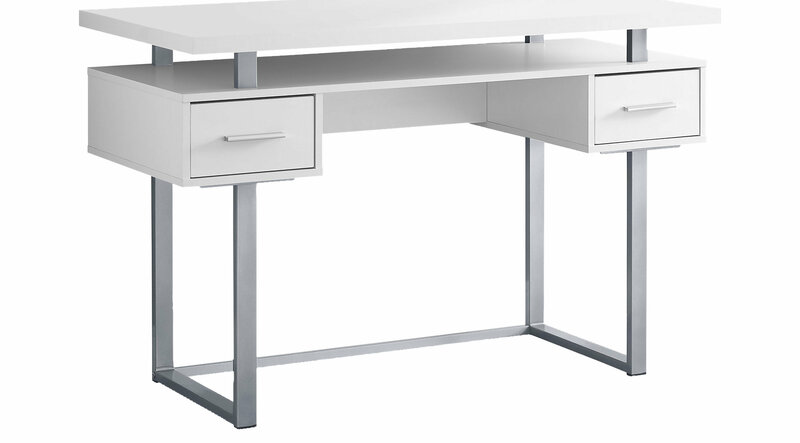 With clean lines, a floating top, and chrome metal legs this desk will add pizzazz to your home office. Featuring two storage drawers. The large thick paneled surface provides plenty of room to meet your working needs without compromising style.